to bow down to the earthling. the Man mould of just mud & clay. I am since known as Satan! I am since blamed for all of Man's sins! his lack of willpower, his idiocy? "Oh, the devil must have gotten into you"
"The evil has surely overpowered your soul"
even when I have not tempted or deceived? to bow before him, Man lost his path! and who else, but I'll be blamed for it! Hugely inspired by Orhan Pamuk's current novel that I'm reading, My Name is Red. 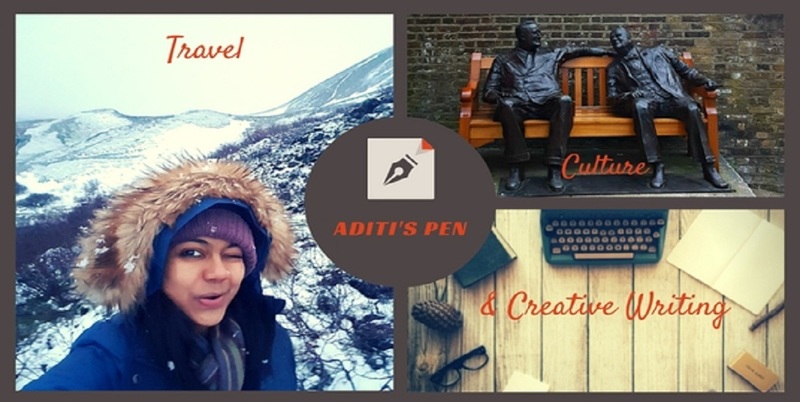 This was truly powerful, Aditi. I pray the day never comes when God will be entirely forgotten, but the world would like us to shun Him, wouldn't it? Oh yes Martha. There is nothing like 'God fearing' these days. And even if there is his name is used only as per Man's comfort. ..
What an interesting thought about Satan! His pride will be his downfall :D Nicely written Aditi! Serves the man right for all his arrogance.Poor Satan made a scapegoat!! I sometimes think the Devil is misunderstood. He's the scapegoat for all our misdeeds. Here is a post I had written way back in 2009. Hope you like it. I've really thought of it from that perspective before. The poor devil! Not! Let the devil be proud of his acts and cease needing God's approval. Forgot to say thanks for posting at Poets United. Thank u Susan for the great prompt! Brilliant write and awesome to read. Well done. Good point. He's a convenient excuse.......we too, must be responsible. Yes we use him and God too as per our own convenience no? Aditi, this is a brilliant poem. Man takes no responsibility for his actions and blames Satan. Everyone always blames someone for their sins or mistakes. Always playing blame game. This was an interesting take from Satan's perspective. Brilliant. If only the time and energy we spend in blaming others n poor Satan could be used for self introspection and correction!! I loved the perspective of this, Aditi...because, yes, Satan will be blamed whether or not he is responsible. Well said. And oh so true. Looking forward to your A2Z posts. Thanks... The book indeed is interesting! Thanks for stopping by!